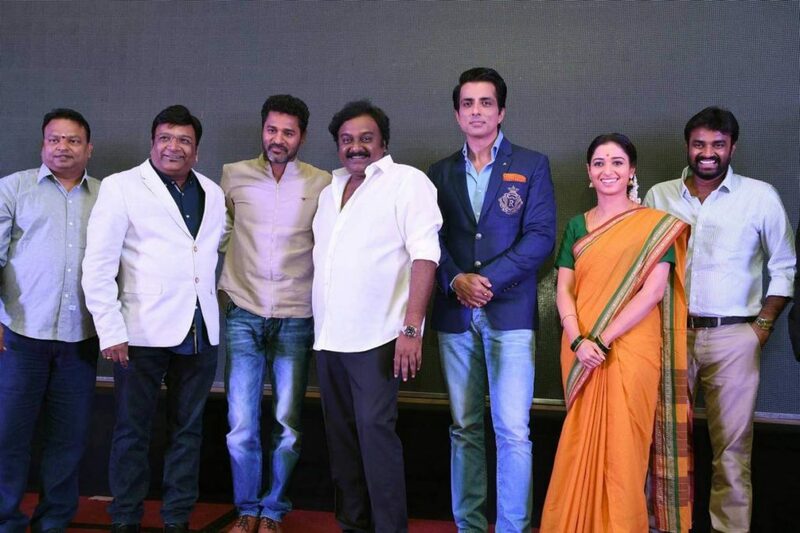 Tamannah and Prabhudeva Starrer Abhinetri / Devil (Also stylized as Devi(L) in Tamil) movie audio launch held on August 15, 2016. The music of the movie has been composed by Sajid-Wajid, G. V. Prakash Kumar, Vishal. The Background music of Abhinetri/Devi movie has been composed by Gopi Sundar. The movie is all set to release in September 2016. Scroll down to know more about Tamannah’s Devil / Abhinetri Movie Audio launch and Music download. Abhinetri / Devi(L) Movie Song links will be available soon. Devi(L) / Abhinetri is an upcoming Tamil-Telugu-Hindi Trilingual movie directed by A. L. Vijay of Deiva Thirumagal, Thandavam fame. The Devil movie is a horror thriller film starring Tamannah, Prabhu Deva, Sonu Sood. The movie will hit the silver screen in September 2016. The teaser of the movie was recently revealed and got a huge positive response from the fans of actors and actress. Fans are eagerly for the release of the movie. Share your reviews about the music of the movie Abhinetri / Devi(L) as “post a comment down”. Stay tuned at worldhab to get the latest information from the world of entertainment, Technology, Politics etc. Press Ctrl+D to add WorldHab as Bookmark in your browser.